Everyone in the 21st century knows that it is wrong for people to drink and drive, the law condemns it in fact. But quite sadly, some drivers violate this law by drinking anyway and their carelessness more often than not leads to accidents which in turn results in pain and loss for the victims. 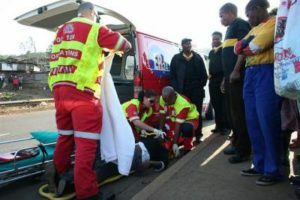 If you have been involved in a pedestrian accident as a result of the carelessness of the car driver, then do not waste time in reaching out to a competent pedestrian lawyer in order to ensure that justice is served. Getting a good lawyer to help you bring the defaulters to book will not only boost your chances of getting a settlement which can go a long way in settling your medical bills, but it will also serve as a deterrent to other drivers who drink and drive. What better firm should you task with the mission of delivering justice than ours, Rawa Law Group? We are a five-star firm based in California, for over two decades we have delivered first-class legal services to the good people of Long Beach. Our Pedestrian Lawyers at the best around, collectively they have over 55 years of experience and they have handled all manner of cases relating to pedestrian law. We are known for being thorough, humane and dedicated, so you can rest assured that we will go above and beyond in ensuring that you get the desired outcome. Do note that we don’t press for an upfront payment before taking up your case; we would rather get paid when you do. Kindly reach out to us via the address below, it would be an honor to serve you.